Broad Run's Director of Instruction, Patrick McCarthy picked up the game of golf at the age of 10 and has been dedicated to the game ever since. While growing up, he spent countless hours in his backyard, working at perfecting his swing and sharpening his short game skills. In 2011, he graduated from the Professional Golfers Career College of Hilton Head, SC and has been passionate about teaching the intricacies of the sport to all ages. 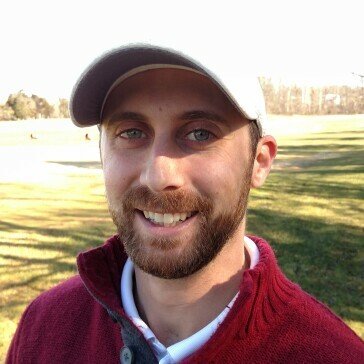 Since graduating, Patrick has been teaching at very popular facilities such as CityGolf Boston and Twin Brook Learning Center in Tinton Falls, NJ. In July 2017, Patrick won Best Golf Instructor of Prince William County by InsideNova Magazine. In a game that has frustrated many, Patrick brings forth tons positive energy during his lessons, and looks forward to helping others hone their own skills in the great game of golf at the Broad Run Learning Center.